Clearly, the LARP Cutter Machete Dagger has seen many battles. The jagged cuts on its blade serve as evidence. Despite its wear, you refuse to part with it. Given as a token of honor from your mentor, it repeatedly proves its worth. 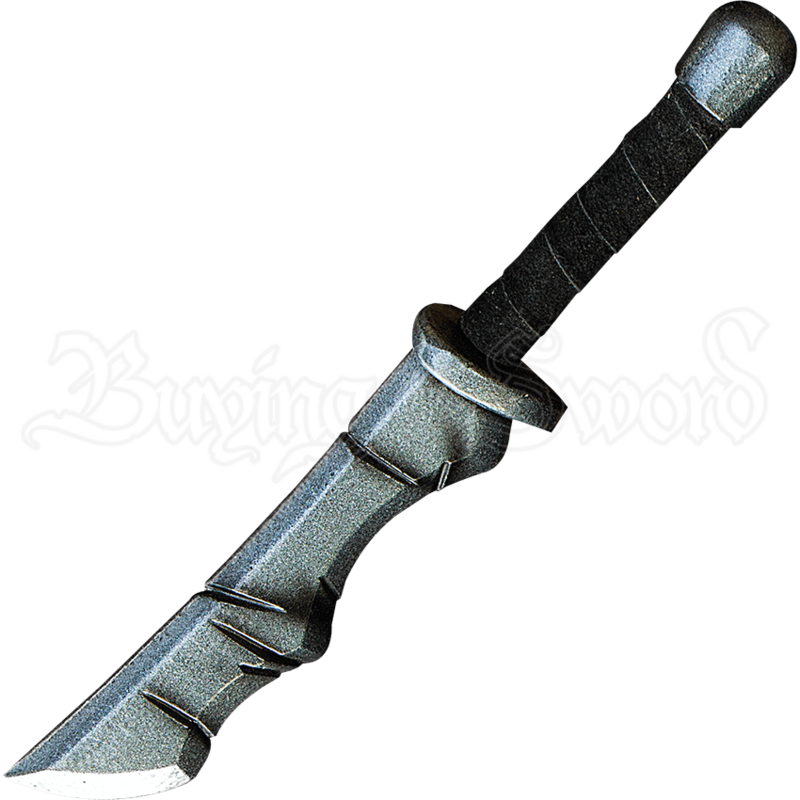 Sculpted from a durable foam, and hand painted in high detail, the straight back blade features a dark metal finish. Its round cross-guard and coreless pommel follow the same color scheme, while split-leather wrapping strengthens the grip.